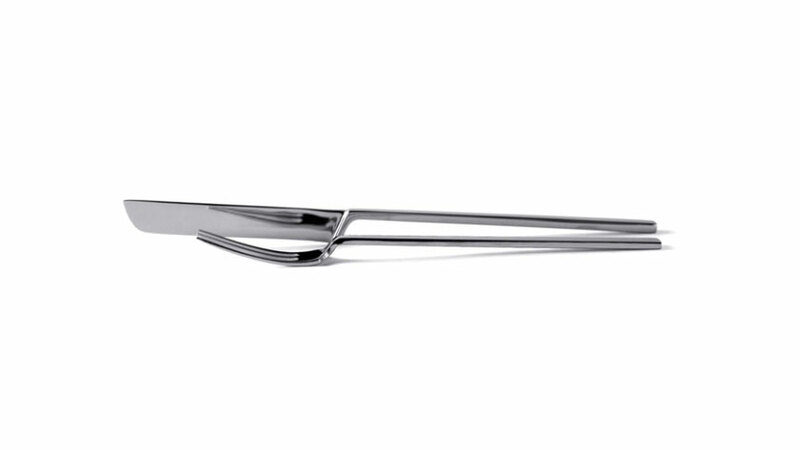 The minimum cutlery by John Pawson for When Objects Work, is fabricated in mirror finish stainless steel, uniting knife, fork, and spoon into a single handle form. 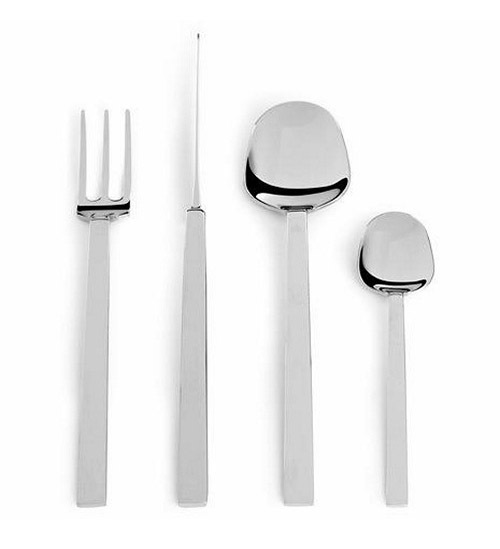 Each piece is a refined silhouette, with the three prongs of the fork marking a return to the simplicity of Georgian precedents. 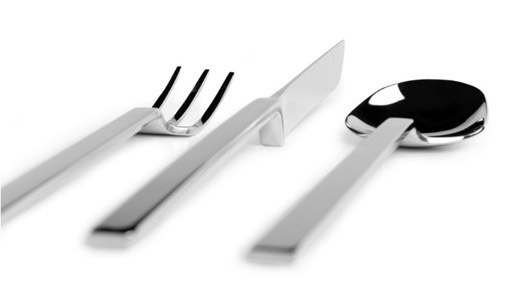 6 place settings of 4 pieces each.